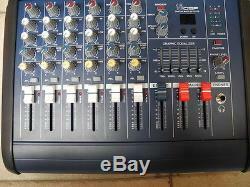 Professional Console Mixer 6 Channel Mixing Console karaoke music Power Mixer. 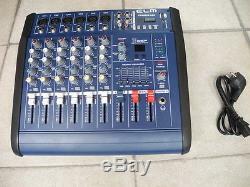 With USB, SD, 48V Phantom Power. 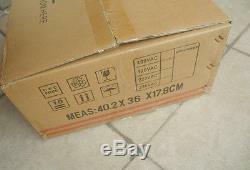 (500W RMS / 2x250W RMS, 220V-250V). Revolutionary amplifier technology, ultra compact design, light weight. 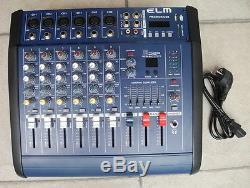 500 watt (250w+250w) powered mixer (4 400W + 400W maximum). 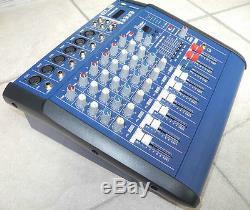 With 16 DSP effect processor, built-in 16 kinds of LCD digital display, digital effects. 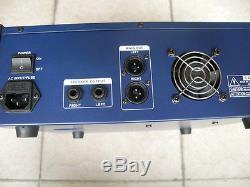 6 mic/line channels with 48v phantom power for condenser microphone. 2 stereo inputs with dual RCA for flexible connectivity. 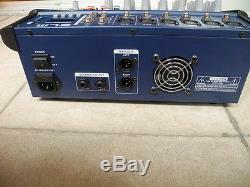 2-band equalizer on each channel and 5-band graphic equalizer on the main. 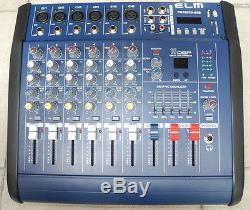 Low noise pre-amp on each channel with volume, pan, effect, 2-band equalizer and gain. 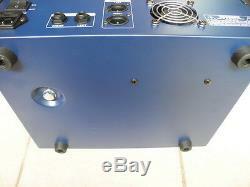 Power Supply: 220V-250V Can working. (Note: Not working on US, Japan 110V). Dimensions (W x H x D) 36cm x 32cm x 12cm. With box total about 7.5kg. Free With Europe 2 round pin Plug, and with a 3 pin plug adapter. / Australia / France / Ireland / Canada. Or Check out my other items. 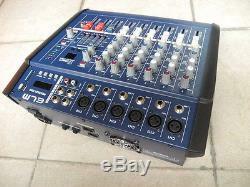 The item "Pro 6Ch Karaoke Music Power Mixer Console Mixing 800W Amplifier 48V USB SD" is in sale since Wednesday, September 3, 2014. 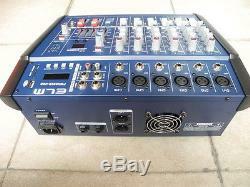 This item is in the category "Sound & Vision\Performance & DJ Equipment\DJ Mixers". 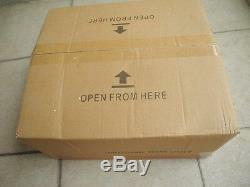 The seller is "easydo2012" and is located in China. This item can be shipped worldwide.